Equestrians consider the Gladstone venue hallowed ground and an iconic landmark of U.S. equestrian history. It serves as headquarters of the USET Foundation and was the former training grounds for the U.S. Equestrian Team. Presenters of the event, the Junior Essex Troop, a cadet auxiliary born out of the 102nd Cavalry, is an organization dedicated to preserving the love of horses and military-style horsemanship. The alliance sets the stage for an event rich in tradition and history. Throughout the years, the Garden State Horse Show has showcased international and Olympic athletes including McLain Ward, Chris Kappler, Peter Leone and Anne Kursinski. With its new historic backdrop, unmatched hospitality and state-of-the-art footing, the Garden State Horse Show will offer a superior experience. The show offers a full range of classes for exhibitors of all levels. Highlight classes include several High Child/Adult Jumper classics, a $10,000 Hunter Derby for both professionals and non-professionals, a $5,000 USHJA National Hunter Derby, the $10,000 Ted Grant Welcome Stake and the feature event, the EquiJet $25,000 Garden State Grand Prix. 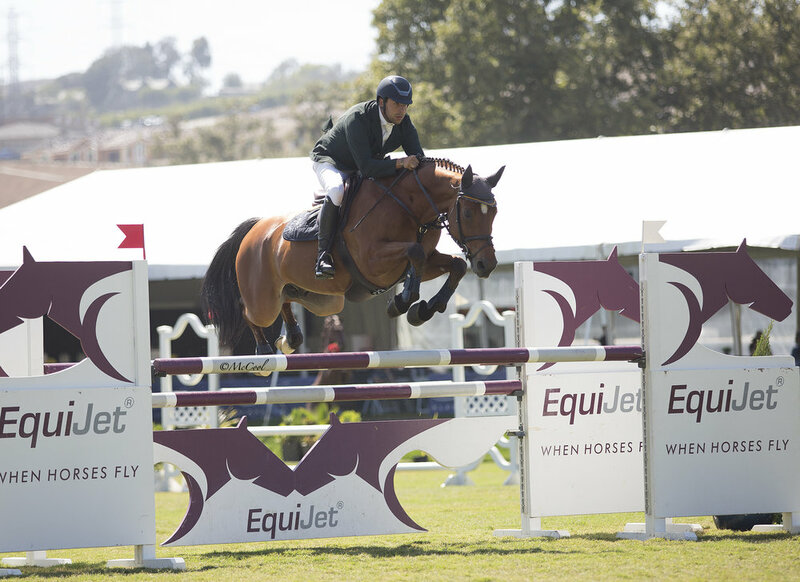 As a sponsor, EquiJet is proud to support the many horses and riders for which it provides transportation. As one of the country’s premier equine transportation companies, EquiJet places importance on making each horse’s travel – whether to a local show, across the country or across the world – as stress-free and comfortable as possible. Services offered by EquiJet include both domestic and international air and ground travel, in addition to orchestrating airport handling, quarantine, documentation and accompanying equipment. EquiJet offers unparalleled customer service by horse people, for horse people. For more information, please visit EquiJet.com.